As the 1965 Immigration Reform Act took effect, there was an influx of new people, including university-educated immigrants from Hong Kong, Taiwan, and Southeast Asia. In addition, the end of the Vietnam War and the normalization of relations between the U.S. and China brought more people into Chinatown, the South End and then to Brighton. 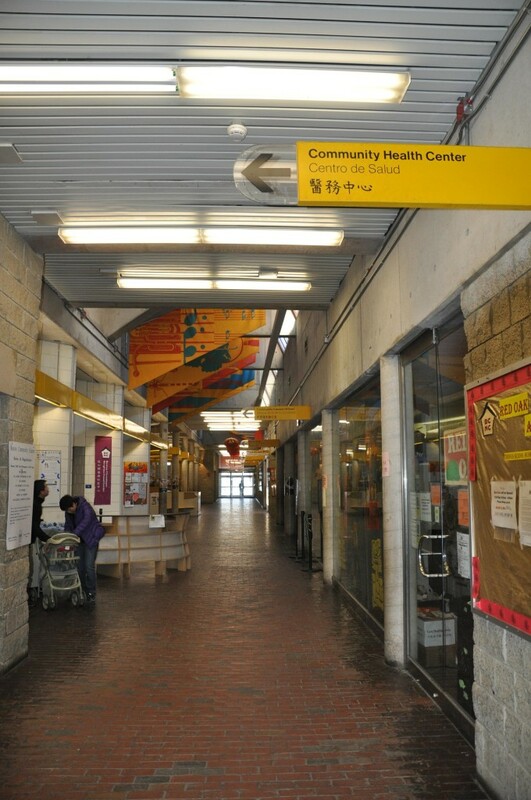 Community organizations, such as the Chinese American Civic Association and the South Cove Community Health Center, expanded to accommodate the increasing number of residents. 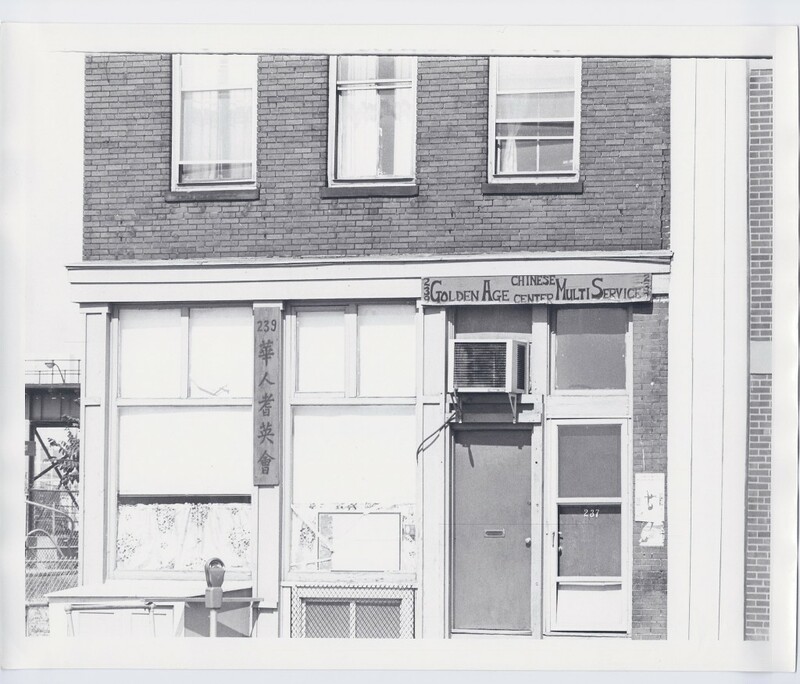 Within Chinatown and in the suburbs, restaurants and their supporting businesses remained an important economic base. Housing, shops, and restaurants expanded into the former garment factory buildings. As the Combat Zone began to decline, Chinese businesses (many of them Sino-Vietnamese) expanded along Beach St. and onto Washington St.
Boston economy changes to services – finance, health, technology. Extensions of Red and Orange Lines. Tai Tung, Mass Pike Towers, elderly housing on urban renewal sites. Orange Line re-routed eliminating the El structure. New England Medical Center expansion. Garment buildings converted to Chinatown and T-NEMC uses. Family Reunion agreement with China. Expansion to the South End and to Quincy. Professionals settle in the suburbs. 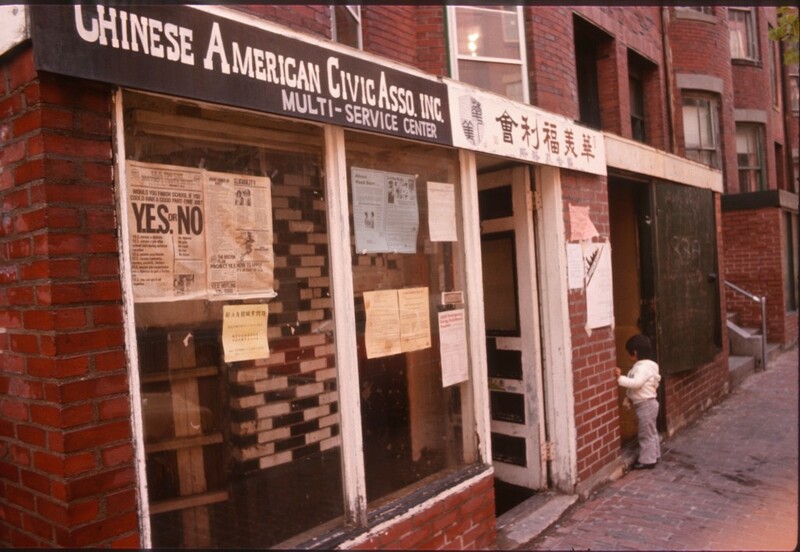 Major international events in the 1970s had significant impacts on Boston’s Chinatown. After the recognition of the Peoples’ Republic of China (PRC) by the United States in 1979, the Family Reunification Agreement permitted the reunification of family members left behind in China in the years since the funding of the PRC with family members already in the United States. These reunions brought to Chinatown people who had for over twenty years lived under a different political system. The opening also allowed Chinese students and scholars from Mainland China to migrated to the environs of academic institutions and had little direct impact on Boston’s Chinatown. Even those who ultimately stayed to work established themselves in the suburbs. In 1975, the Vietnam War came to an end shortly after the withdrawal of the United States. Many who had served with the Vietnamese Army or had supported the U.S., were in danger of being purged. They took to boats and escaped to safe havens in South-East Asia such as Hong Kong. In 1976, the Communist government confiscated the property and businesses of ethnic Chinese (Sino-Vietnamese) who had dominated commerce. Hundreds of thousands of Sino-Vietnamese joined the exodus. The United States arranged for the resettlement of refugees in different part of the United States, including Boston. The Sino-Vietnamese settled in Chinatown and brought with them their own identity and further increased the diversity of Chinatown. They were also daring entrepreneurs who expanded commercial Chinatown along Beach and Essex Streets onto Washington St. despite the dangers of the Combat Zone. Violence increased as new immigrants from Hong Kong and Vietnam and many jobless youth joined gangs that challenged the traditional mafia. This peaked in 1991with the shooting of six men in a gang-related incident on Tyler St. The FBI cracked down nation-wide and internationally, new forms of state-sanctioned gambling (horse racing, lotteries and casinos) displaced the gambling dens. Housing was crucially needed because of the loss of housing from the Turnpike expansion, Urban Renewal and to meet the increasing number of new immigrants. 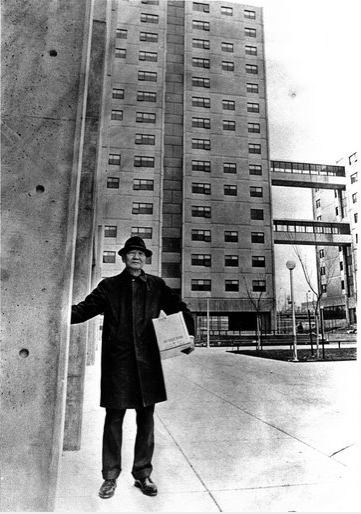 As part of the South Cove Urban Renewal Plan, sites were created for Mass Pike Towers and Tai Tung Village (owned by the Chinese Consolidated Benevolent Association), Quincy Towers and several smaller projects. The about 2000 units of subsidized housing (including Castle Square in the South End) has provided a stable working class population in Chinatown. But the housing was still not enough to meet the needs of the growing population and the families looking for less dense environments. The central location of Chinatown with easy access to most of the transit lines enabled families to move out without losing essential services. Some moved to Brighton. Brookline and Newton. along the Green Lines. The extension of the Red Line to Braintree also attracted “one-step up families” to move to Quincy. In this period, a new group of activists – both those with Chinatown roots and new-comers from Hong Kong and Taiwan – formed organizations to address the pressing health, social and economic needs of the community. The new activists were college educated and were able to mobilize the community to tap the resources created by the federal, state and local governments in the Great Society and related programs. They were also able to enlist the help of local foundations and business community. The Chinese Economic Development Corporation (CEDC) was formed to promote economic development including housing. It redeveloped the old Telephone Exchange on Oxford Street and the garment building on Chauncy Street into housing. Chauncy House – garment building converted to housing by the CEDC in 1975. The Chinese American Civic Association (CACA) started as a political organization and evolved into a social services organization to meet the needs of the increasing number of arriving immigrants. CACA provided English classes as a second language, job training, assistance in housing and other services. When large numbers of immigrants from Vietnam and Southeast Asia arrived, CACA renamed itself as the Asian American Civic Association (AACA). It continues its services to the community to this date and its clients now include many immigrants from Eastern Europe and Africa. AACA on Tyler St. 80s. In 1971, The Golden Age Center was founded by volunteers and has since expanded to sites throughout Greater Boston offering comprehensive services and housing. The Hong Lok Houses is in a historic building on Essex Street, which had once been a hotel. These facilities helped bring modern social services to the elderly community, services which the Family Associations could no longer provide. The new Quincy Community School was finished in 1977 and built in facilities for the community – gymnasium, swimming pool, auditorium and meeting rooms. It also housed the Little City Hall, created by Mayor Kevin White to bring city services closer to the neighborhoods. The South Cove Health Center was also located in the school and became the primary care facility (pre-natal, pediatric, dental, etc.) for the Chinese community in Chinatown and elsewhere. The staff was bi-lingual and culturally sensitive to the new immigrants. The ground floor of the Quincy Community School was open to the public with access to the gym, swimming pool etc. The Health Center was also located along the pedestrian way from Tremont St. to Washington St. In 1962, Scollay Square was cleared for the Government Center project and the adult entertainment businesses moved down to lower Washington Street, adjacent to Chinatown. It became known as the Combat Zone with adult movies, strip joints, prostitution and drugs. Washington Street at Essex 70s. Globe photo. The City tried to stop the spread into other areas of the city by creating a defined Adult Entertainment District. The Chinatown community at first supported this hoping to contain the criminal activities. Unfortunately, the activities created a barrier between Chinatown and the rest of the city and also spilled over the boundaries endangering the residents and visitors. The Combat Zone eventually faded with increased enforcement, generational change and the wide availability of X rated DVD’s and the Internet. Vietnamese and Chinese businesses expanded into the vacant buildings to meet the needs of the rapidly growing population. As the Combat Zone began to fade, Sino-Vietnamese entrepreneurs opened stores despite the danger and squalor. 1989. According to witnesses, the men responsible for the shooting on Tyler St. met in the Naked I Cabaret.